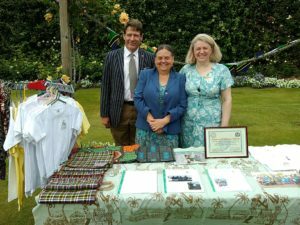 John and Christine were delighted to be guests of the Rotary Club of Aberlour at their summer garden party. 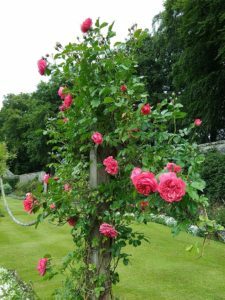 The weather was good and the venue superb – the rose garden of Ballindalloch Castle. The President of Aberlour Rotary, Louise Gordon, and her husband, Giles, made us most welcome. John had given a talk to the Club earlier in the year and it was good to meet members again. A Busega Scotland stall attracted attention, and we had good conversations and made some sales. One of the Mayega Shukas was auctioned, and the afternoon realised £215 for our work in Tanzania. 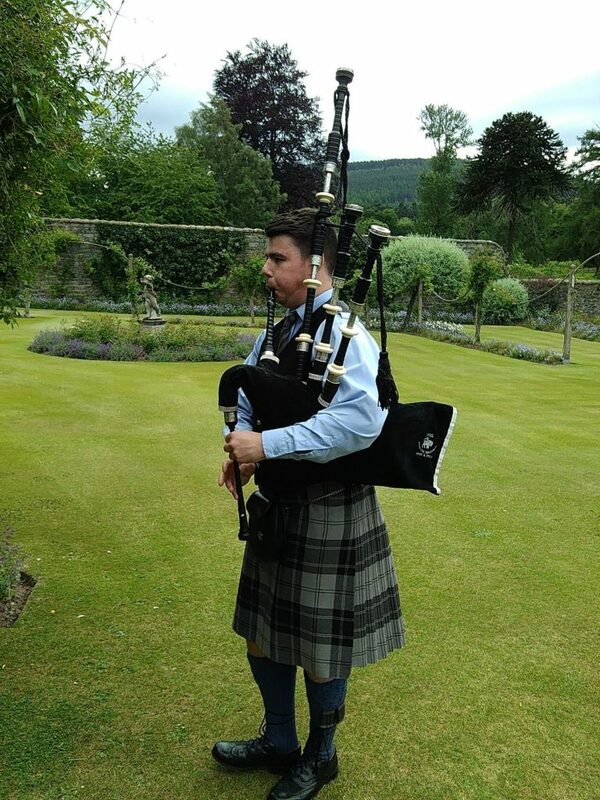 It was fitting that the highest bidder for the shuka was the Macpherson-Grant family, who live in Ballindalloch Castle. The castle has been the ancestral home of the family since 1546. Aberlour Rotary Club has become a good friend and supporter of Busega Scotland and we thank club members for their interest and encouragement. « 20.6.18 Shida heading home to Mayega.